As most people are very well aware, having a good credit rating can open up a lot of opportunities for you. You can get a loan to buy a house or a car, get a good credit card that has a low rate of interest and a decent rewards program and you are generally seen as a financially responsible individual, by banks, building societies, other lenders and even landlords and prospective employers. Bad credit happens though. Just a few missed payments – or even just late payments – can really drag your credit score down. People in this situation have one big question on their minds – how do I repair my credit rating? 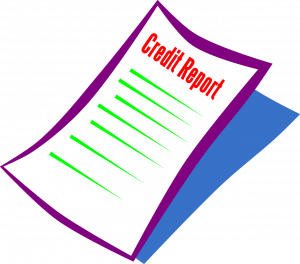 The first step to effective credit repair is knowing just what is on your credit reports. In the UK that means checking with each of the main credit reporting agencies; Experian, Equifax and Call Credit. Under the law, you have the right to request a full copy of your credit report for £2. All three agencies offer regular access to your file and other services at a much higher cost of around £15 a month, but it’s generally not necessary to pay for these services. Why check all three? Annoyingly the information contained on each report is rarely exactly the same. It is up to a creditor to decide which credit reporting agencies they send information to and often it is not all three. In addition, you have no idea which agency a potential lender will contact for a report on you, so it’s crucial you understand just what information each individual agency holds on you. Once you have your credit reports on hand go through each of them line by line. You are really looking here for two things. The first is debts you may have forgotten, like a magazine subscription you forgot to pay, it was only £12 per month but the debt was reported to a credit agency anyway. This kind of small forgotten debt is common and it can affect your credit rating as much as a big debt does. The second thing you should be looking for are mistakes. Mistakes on a credit report are quite common, but they often stay there because people simply do not know they exist. What’s on a Credit Report Anyway? If you have never reviewed one before it’s very likely that you are not sure just what kind of information you are likely to find on your credit report when you do receive it. If you have valid, outstanding debts it is very important that you call your creditors and try to make workable payment plans in order to get your debts cleared off as quickly as possible. People are often afraid to do this and ignore collection calls and letters instead. However, even though the people calling to collect the debt can be a bit unpleasant (not all of them but quite a few) if you remain calm and ask to speak with a supervisor if necessary a fair payment plan can usually be worked out – after all these people want their money even if it takes a while. The credit agency will then open an investigation and contact the creditor to get their side of the story and a decision is usually made within 90 days at most. If it is decided in your favour the item comes off your report. Even being late on your mobile phone contract can have a negative effect on your credit rating. If you have trouble remembering when bills are due setting up an auto payment agreement can help or even just making use of a smartphone app like GoodBudget can be very helpful as well. Why would anyone ever tell you to take out a loan when you are trying to repair your credit? Because paying off a small, short-term loan successfully can give your credit rating a nice boost. Many short-term lenders are not as concerned about your credit rating as traditional banks are, so even if you currently have a very bad credit rating you should be able to obtain a small loan. So the cost of the loan would effectively be a little under forty pounds. That’s a lot less than the fees charged for a special ‘credit builder’ credit card and the three-month reporting of on-time payments will give you a great start on your credit rating building efforts.